Scherlokk requires macOS 10.11 or later. It is fully compatible with macOS Mojave. At Naarak-Studio, we have solid experience in developing innovative software solutions for macOS. Naarak (น่ารัก), a word comes from Thai language and means "cute". So we always assure the perfectness and usability of our software products guaranteeing the highest levels of customer satisfaction. Copyright © 2019 Naarak-Studio, All Rights Reserved. 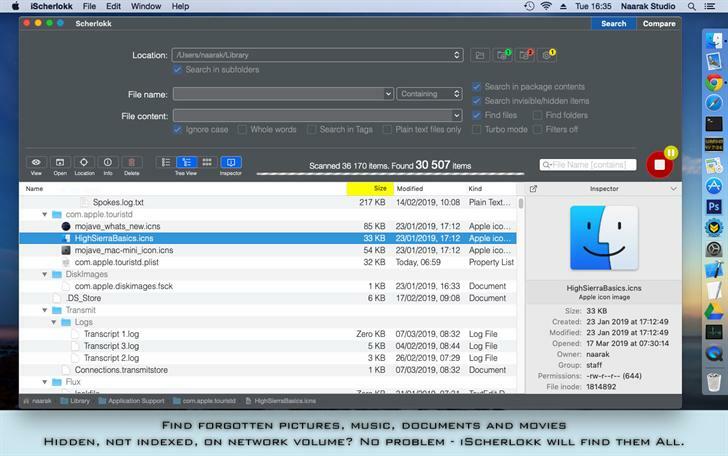 Scherlokk is a lightning fast file search utility build for precise and reliable search of every file which meets the search criteria. Music, pictures, bookmarks, documents, etc can be found quickly and easily. Search can be made on any kind of build in volume, portable volume (pendrives, memory cards, USB drives), network drive (AFP, SMB, FTP), etc. It does not matter if the searched file is hidden or system. 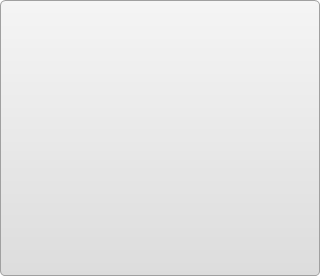 The file does not even need to be indexed by macOS to be found by Scherlokk. When searching with size range, Scherlokk calculates and displays all folders which fit in the range. • Scherlokk searches through 'real' files instead of the Spotlight's index. The index is not always up to date and does not contain all files. • Extremely fast search engine finds your files quicker than competition. 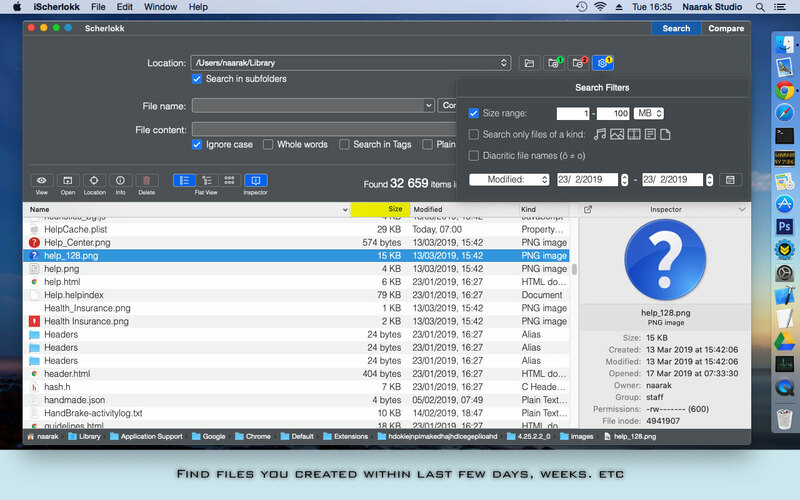 • Scherlokk shows search results in a flat or hierarchical view which helps to find out which file is the one you need and how files are located in the folders structure. • Clean and easy to use interface. Which files can Scherlokk find? 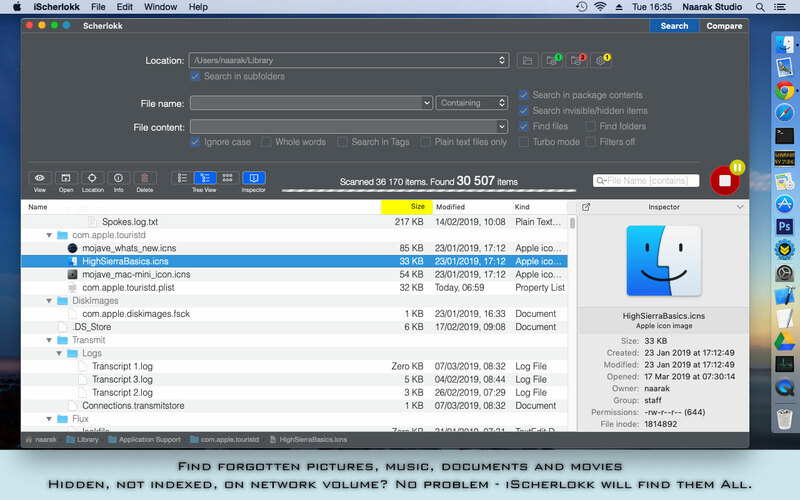 Since Scherlokk is not based upon the Spotlight's index, and has its own, powerful search engine, it will find every single file on any accessible volume in your computer. 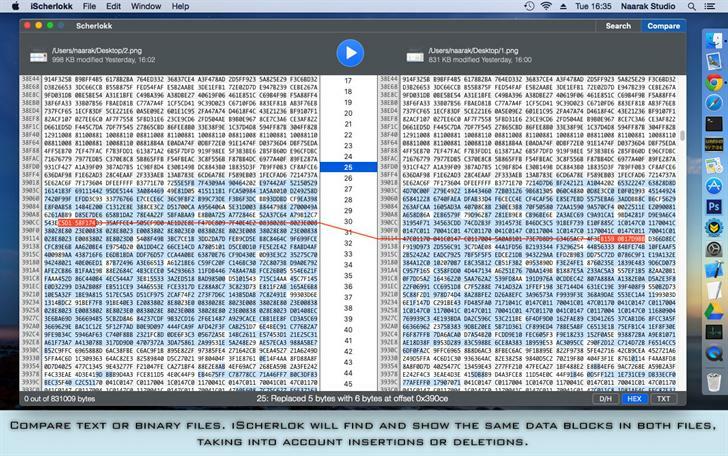 Scherlokk can compare any files (text or binary) and displays their differences, taking into account insertions or deletions. It uses a sophisticated algorithm for finding similar blocks in both files and shows them as a list of differences. Try it out and you will love it! Finding files, folders, applications and any kind of media files. 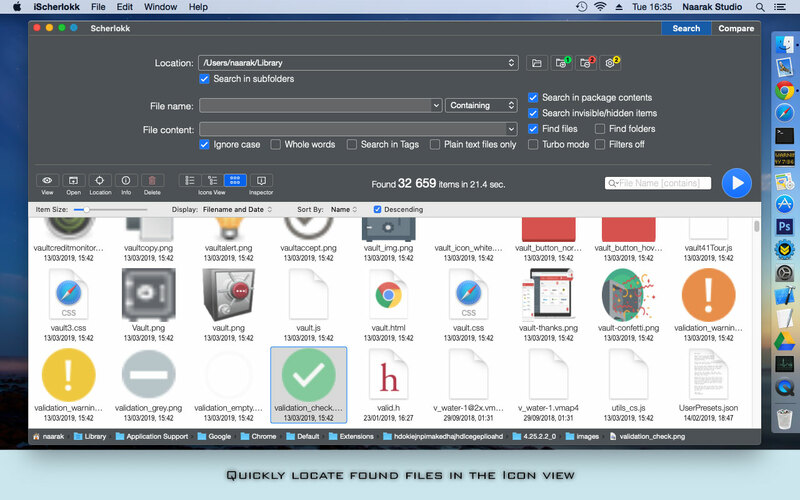 All macOS users who wants to have their files under control. Payment by credit card or PayPal is accepted. Just go to Buy Now page. a trusted reseller of computer software. Scherlokk is available in the App Store.